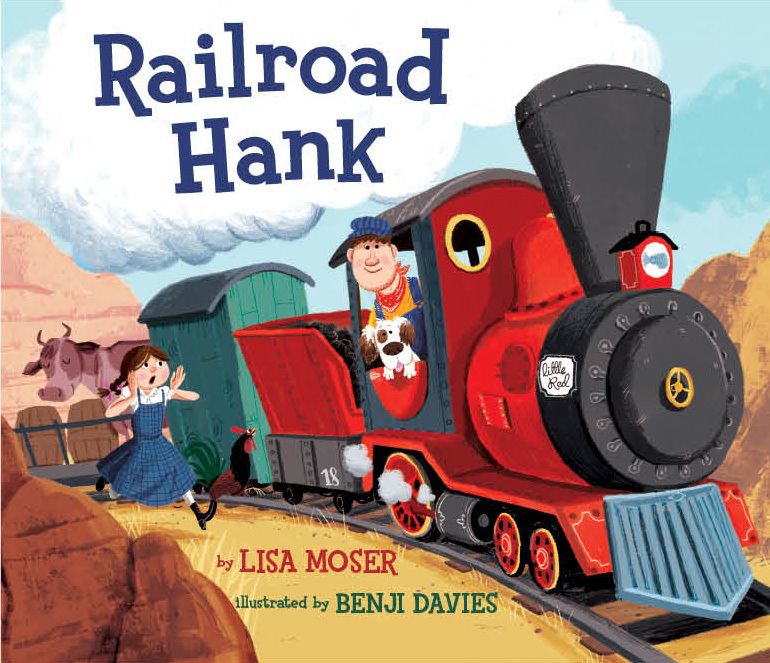 What some fun ideas for children to do when they finish reading Railroad Hank? Check out this absolutely delightful blog. It's the release day for Railroad Hank! He's chugging down the track even as we speak. Had the fun opportunity to do a wonderful interview on a blog www.theresabook.com Here are the links. Chugga-chugga, chugga-chugga. Woo! Woo! Woo! 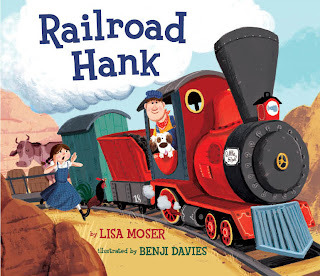 My new picture book, Railroad Hank, will be released on September 25th! It's the story of lovable Railroad Hank and his fine little train who are going up the mountain to visit Granny Bett. Along the way, Railroad Hank stops to talk to all of his friends and they offer to send something to cheer up Granny Bett. Missy May offers some eggs, but Railroad Hank takes the hens. Country Carl offers some milk, but Railroad Hank takes the cows. In the end, Railroad Hank takes a crazy load of mixed-up cargo which is just the thing that Granny Bett needs. Children will giggle and laugh at all of the twists and turns in this old-fashioned type of story. And best yet, they will see what real friendship brings to the lives of others. I am celebrating some terrific news. :-) I just sold a picture book called Bug Garden to Candlewick Press. This book is about all of the little bugs that live in a forgotten garden. I think I'm especially excited, because I use to imagine a bug village when I was a very little girl. So, it's a dream that's been a long time in coming. Feeling very grateful and blessed for this incredible journey! I get asked about rhyming picture books all the time. While I don't write them, many people do, so I thought I'd refer you to the very best article I've ever read on writing rhyming picture books. And it so happens that it's written by my dear friend Dori Chaconas. The article is called "Icing the Cake." I'll also include the link. Enjoy! Had a wonderful time answering questions about being a writing mentor. I am currently serving as the Wisconsin chapter of SCBWI picture book mentor. You can see it at http://www.carriepearsonbooks.com/blog.html or Check out the interview, here.